Nickolas Muray was a hugely successful pioneer of colour photography, who took portraits of just about any celebrity of the 1920s and 30s you can think of and did lots of advertising shots besides. It was estimated that at one point every person living in America had seen a Nickolas Muray photograph, whether they knew his name or not. He was also an Olympic fencing champion. But the reason he is famous today is because of approximately eight of those thousands of photos, of just one out of those hundreds of subjects. Frida Kahlo. Nickolas Muray was the artist Frida Kahlo ’s lover for ten years, from 1931 to 1941, and in 1939, at the height of their affair, he took a series of beautiful, super saturated images that captured the colourful and strong essence of the painter. The photos that he took are just as iconic as Frida’s own self-portraits, and its no exaggeration to say that they have helped in a large part in making her image as globally recognised as it is today. There is something quite unusual about this. It’s a real reversal of so many posts I write about famous men, whose wives are talented yet only known as an addendum to the man’s own life. So often the women are in the shadow and aren’t remembered. I’m not saying Nickolas Muray deserves to be in any shadow though, which is why I’m bringing his other work to your attention. Gloria Swanson by Nickolas Muray. Image via Wikimedia. Nickolas Muray Eugene O’Neill and Family 1924. Image via Moma. Frida with her sister Cristina, Nickolas Muray, and Rosa Covarrubias, Coyoacán, 1939. Image via Guest Curator. Girl in Red, 1936 photo for Lucky Strike Cigarette by Nickolas Muray. Image via Wikipedia. Joan Caulfield for McCall’s Magazine, by Nikolas Muray, 1941 Image via Wikipedia. Woman in Cell Playing Solitaire, c 1950 by Nickolas Muray. Image via Wikipedia. Born in Szeged, Hungary in 1892, Miklos Mandl had four siblings but was his parents’ favourite. He was a good looking and charming child, but stubborn, argumentative and determined too. His family were Jewish and he greatly resented the treatment and limitations placed on Jews in that time and place. While he was still a child the family changed their surname to Murai. Miklos was already not a Jewish name. When he was young, Miklos would walk past the fencing school, looking through the windows and envying the boys inside. He couldn’t afford the fee for the lessons but he couldn’t see why he shouldn’t have everything that other boys had. His father, wanting to cure him of daydreaming, apprenticed him to an engraver’s at the age of 12 wanting to see he needed to buckle down and get a job. But this was an ideal, creative job for Miklos and gave him more ambition. At the age of 17 he moved to Berlin to study the subject more, along with photography and lithography. He earned his International Engraver’s Certificate which would allow him to get skilled work in any country. In 1913 at the age of 21 he took himself to the United States knowing about 50 words of English and with a tiny amount of money in his pocket. At Ellis Island, Miklos Murai became Nickolas Muray. He also very quickly became an aestheist, and enrolled in English classes at night school to erase his accent at the same time as becoming fluent in English. His skill and qualifications earned him an immediate job as an engraver. At the same time as his engraving job, after a few years he opened his own portrait studio. This was really just the second room of his two room apartment in Greenwich Village, the first of which he lived in entirely. 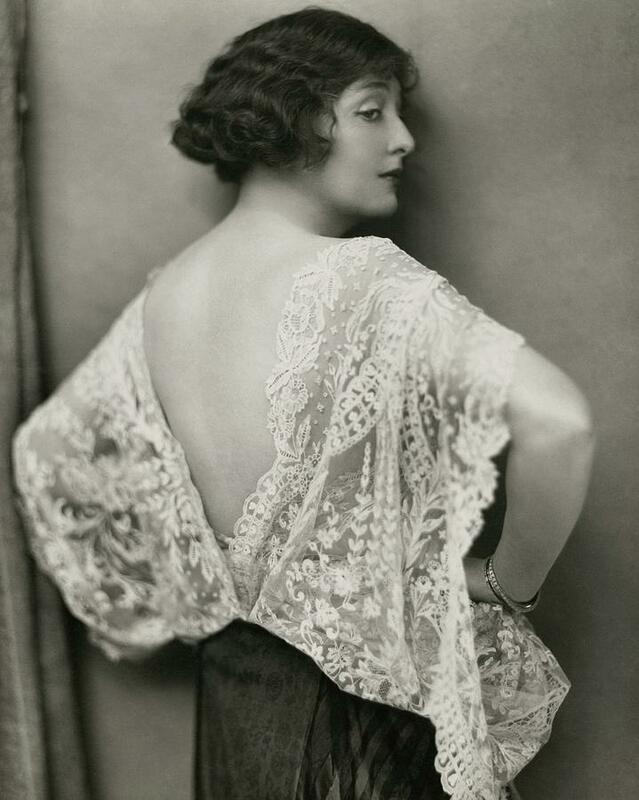 Nick didn’t know anyone when he moved to New York, but, a charming and good looking man, he now knew plenty of people, among them the art director of Harper’s Bazaar, who commissioned him for a portrait of the actress Florence Reed. After it appeared in the magazine, the commissions flowed.Actors, dancers, film stars, politicians, and writers as well as models in the latest fashions were the subject of his lens. Nickolas Muray’s two room apartment became a salon for his clients and the luminaries of the day. Martha Graham, Langston Hughes, Helen Hayes, Paul Robeson, Gertrude Vanderbilt, Eugene O’Neill, and Jean Cocteau turned up, bringing a flask of illegal alcohol since it was Prohibition. This charming man was said to be a great hit with women, and was in fact married four times, which is quite astonishing for the period. He had several children. In 1923, Nick met the artist Miguel Covarrubias, who had immigrated from Mexico and had only good things to say about his home country. Nick and Miguel became best friends and in 1931 they went to Mexico together. There Nick met Frida Kahlo. They were both married at the time. They spent the next ten years traveling to see one another in the cities where they lived. At one point, Frida divorced her husband and Nick, being between wives himself, assumed they would marry. But they did not and Frida remarried her husband after a year. The affair came to a conclusion after that but Frida and Nick remained lifelong friends. From freelance portrait assignments for magazines Nick moved on to advertising, and was a pioneer of colour ads. He charged up to $1,000 an image, and as a commercial photographer his books were always full. His black and white portraits were romantically soft focus, but these colour images possessed a vivid clarity that was felt to be most lifelike and very popular. Since moving to New York at the age of 21, Nick had realised his dream to become a fencer. He did not just fence but representsed the USA in the 1928 and 1932 Olympics, and was the U.S. Saber Champion in 1928 and 29. He died of a heart attack whilst at a fencing match in 1965. In his lifetime he had won over sixty fencing medals, and had had over 10,000 pictures published, numerous exhibitions of his photographs and several books.